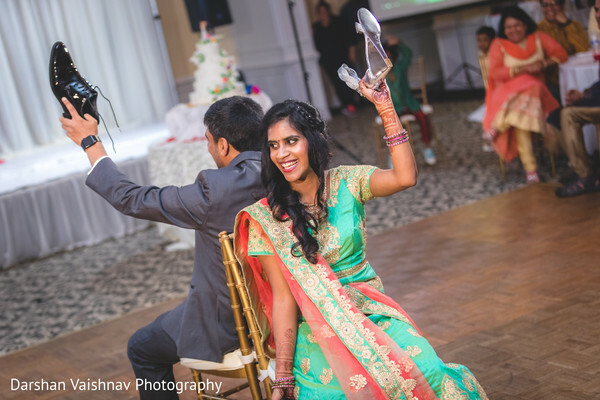 A grand wedding ceremony deserves an equally grand celebration! 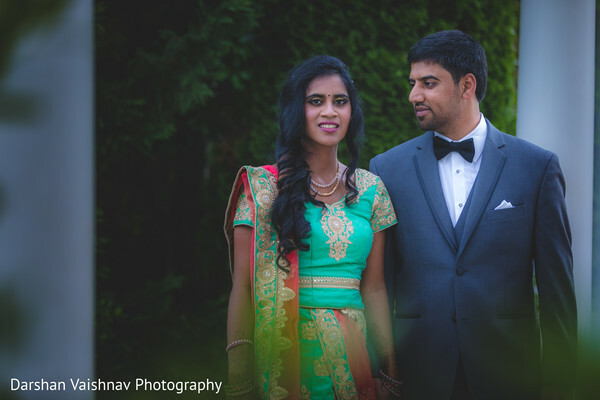 That is why Nithila and Sanjog booked the exceptional Foxchase Manor to meet and greet all their guests at an elegant evening reception! 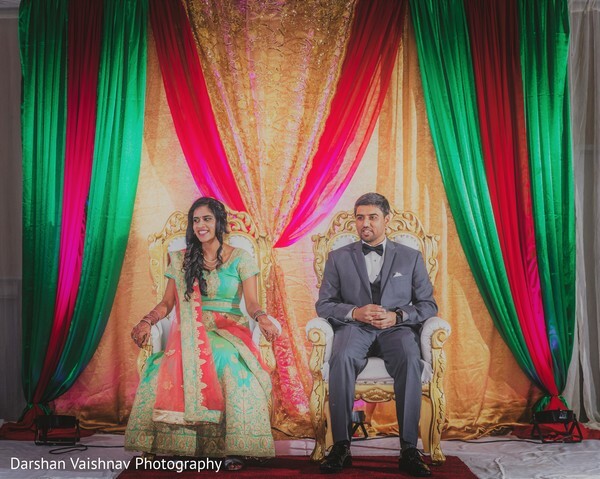 To hold their festivities, the newlyweds were seated like royals in throne-like chairs with a gorgeous draping stage decorated with bright fabrics by Om Event Decorations. 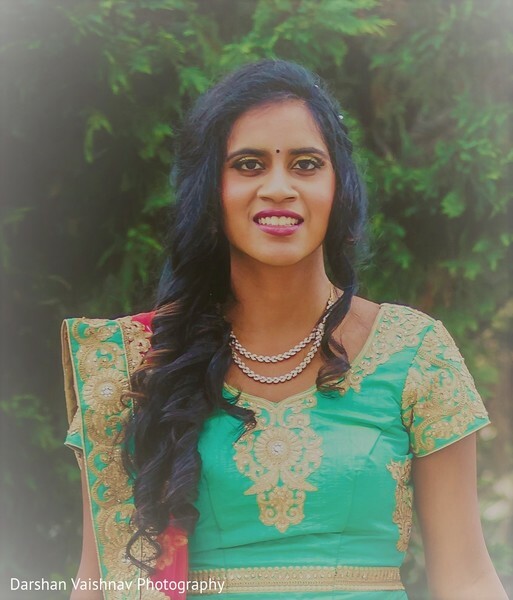 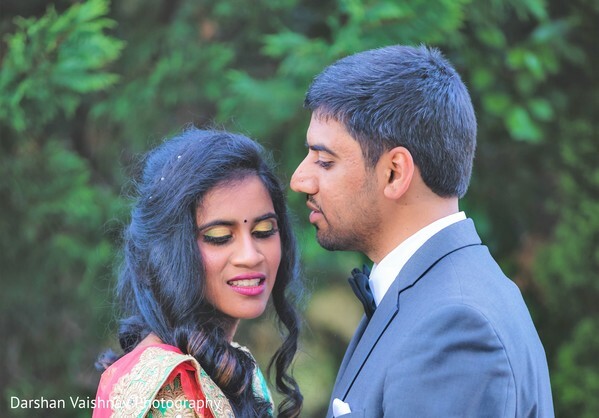 Nithila looked like a queen as she arrived in a turquoise lehenga and livened up her makeup with lush shades of green eyeshadows, all creation of Shruti's Beauty & Bridal Salon. 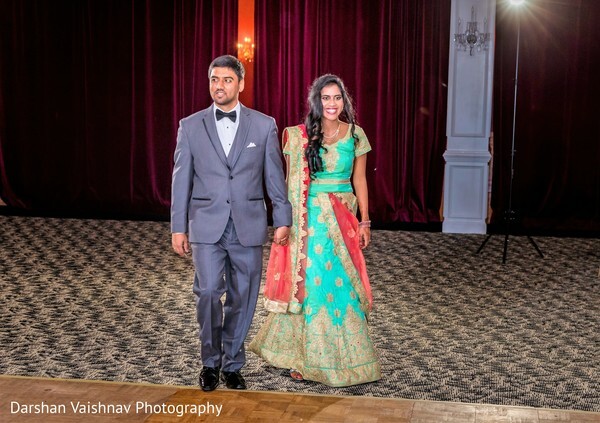 While Raja Sanjog wore an amazing bespoke grey tuxedo suit to play the fun wedding games and hired the brilliant Darshan Vaishnav Photography to portrayed them on their wedding night through a series of fine art photos before and during the reception! 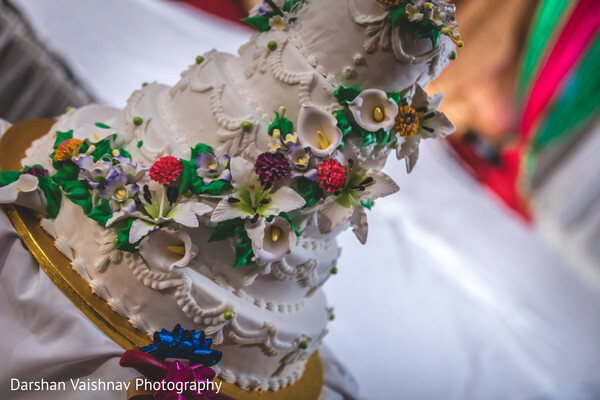 I particularly love the charming five-tier wedding cake decorated with lovely and delicious sugar flowers that gave the soiree a sweet memento! 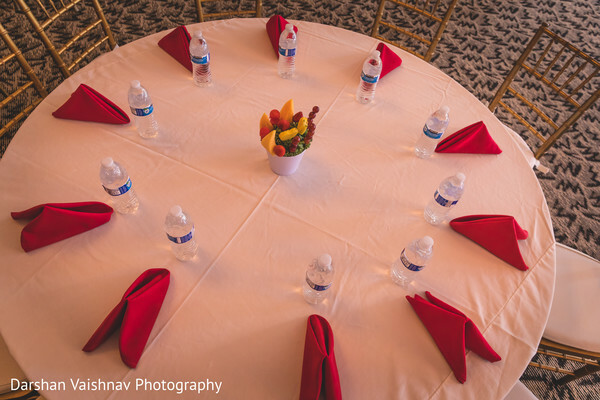 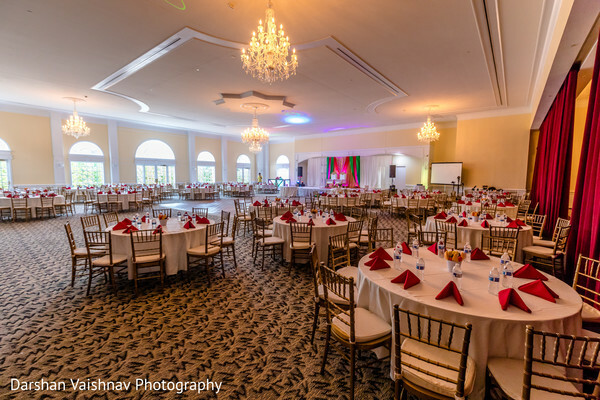 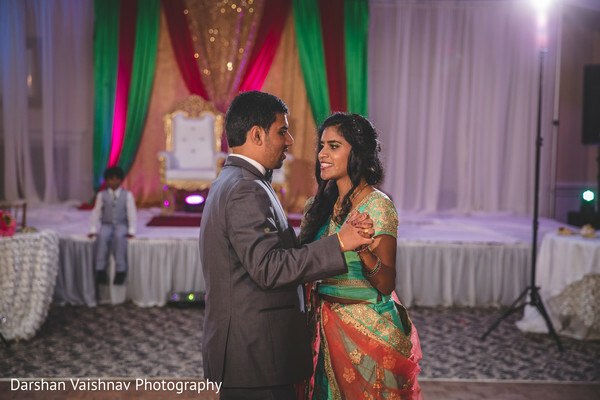 Check all the greatness of this Tamilian wedding celebration in our full gallery! 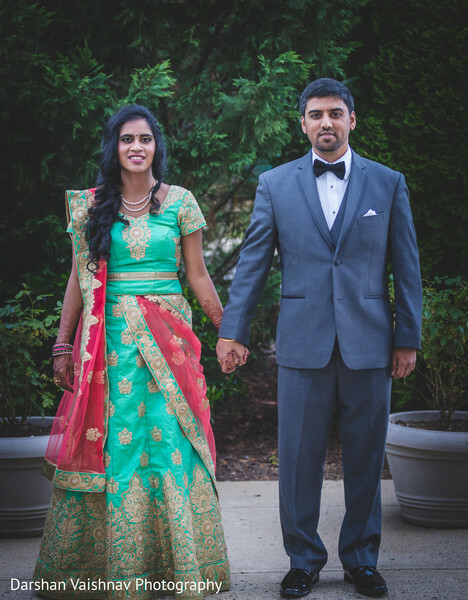 Find your best wedding inspiration by browsing through more real wedding stories tomorrow!